Worktop upstands are a stylish way to conceal the connection between walls and work surfaces. 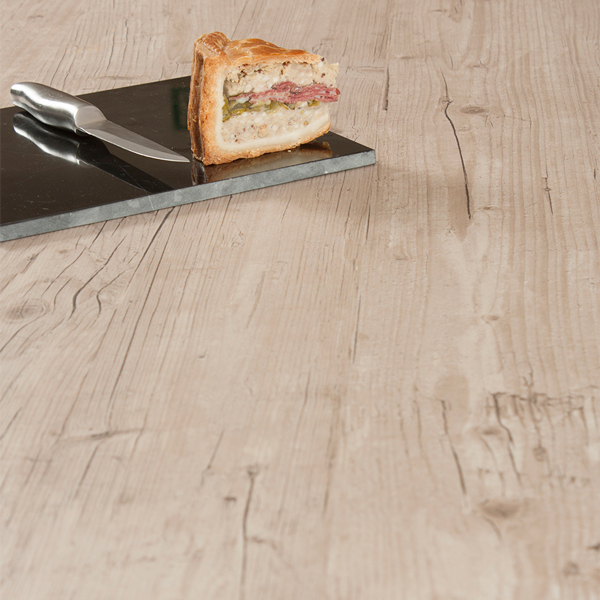 This light wood laminate worktop upstand measures 3m x 95mm x 12mm and is a practical and hygienic alternative to tiling right down to the work surface. Featuring the same attractive décor as our entire Capitol Pine worktop selection, the upstand has an attractive wood grain effect that works well in both contemporary and traditional settings. Created using a durable layer of decorative laminate that is bonded to a sturdy core of medium-density fibreboard, our wood effect upstand is a durable option for any home. It can be wiped clean easily, using a soft cloth and some warm soapy water - making it an incredibly low-maintenance choice. This worktop upstand is easy to fit and can be cut to size on site to suit requirements. For a sleek, cohesive look throughout your kitchen, why not pair with a coordinating light wood laminate splashback?